Mike uses his wrench to break the lock. It breaks open the gas pipe, causing gas to leak out. Julian accepts Kristina&apos;s application and asks her to start right away. Kristina is surprised to see Mike wandering around. He tells her she&apos;s not supposed to be there, and should leave now. Kristina calls Sonny to let him know where Mike is. Nina is certain the heart necklace and the message from her mother means something. It can only mean her baby is alive (For every time Nina said "baby" I kept wanting Maxie to point out that said baby is no longer a baby, but a 25 year old adult who may not want Nina as her mother). Maxie believes Nina is taking her mother&apos;s death harder than she thinks. She doesn&apos;t want her to get swindled into Madeline&apos;s latest scam. Jason doesn&apos;t understand how the gun would tie back to Sonny. Sonny says he was (and still is, in my opinion) an idiot who didn&apos;t use gloves and his fingerprints are all over it. 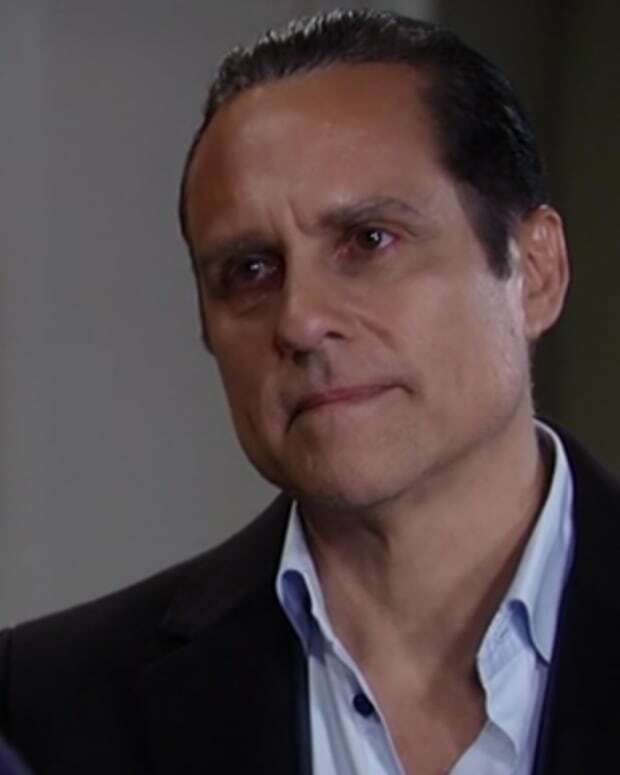 Sonny admits he wanted everything Scully had even though Mike warned him to stay away. Michael shows Carly a letter that Nelle wrote to him from prison. Carly doesn&apos;t want him to read it, but Michael feels that he should. Brad and baby happen to walk by. Michael mentions that he&apos;s in Nelle&apos;s letter as well. Nelle wrote that she hopes Michael finds comfort in Brucas&apos; baby and she&apos;s forgiven him for all that he did. Carly gets angry, saying Michael never wronged Nelle, and that she&apos;s working him. Carly tells Michael not to fall for Nelle&apos;s tricks again. 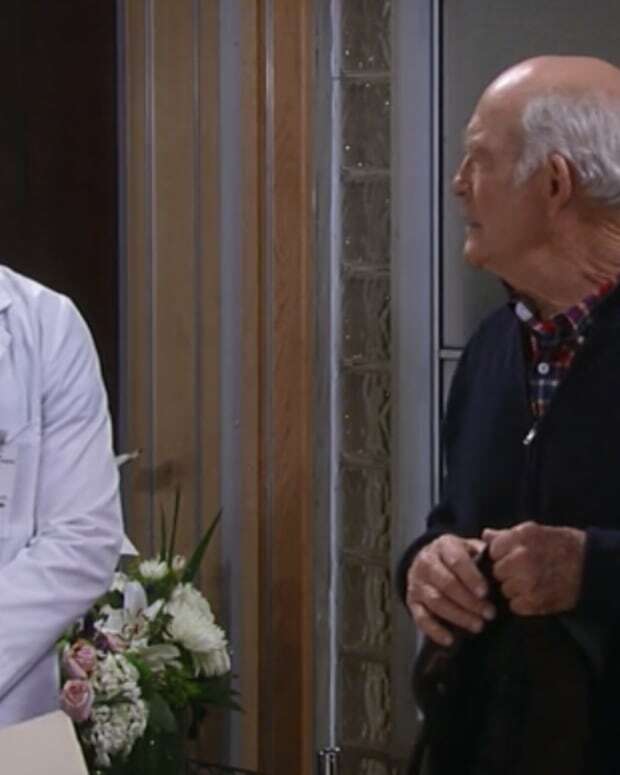 Curtis updates Valentin on his progress and says he wants to follow the money trail on the delivery nurse and doctor. He wants to question Madeline, but Valentin tells him she&apos;s dead. Later, Curtis tells Valentin that Spinelli was able to locate a wire transfer to the lawyer around the same time Nina was due. He&apos;s going to continue to investigate. Nina tells Valentin she signed the divorce papers and tries to return her rings. He refuses to take them. Nina admits to Maxie that she still loves Valentin and he&apos;d never hurt her. Nina brings up the necklace and it&apos;s meaning again. Maxie&apos;s worried she&apos;s getting her hopes up for nothing. Mike gets confused and tells Kristina that nobody was supposed to be there. Kristina spots the wrench and questions what he&apos;s done. Julian smells the gas and investigates. He finds the leaking pipe and tells everyone to get out of the bar. He wants them to go the lot across the street. Julian says the pipe was tampered with. Kristina decides to go back in to get the wrench. She falls and knocks herself out. Sonny and Jason get there. Julian tells Jason the leak was deliberate. 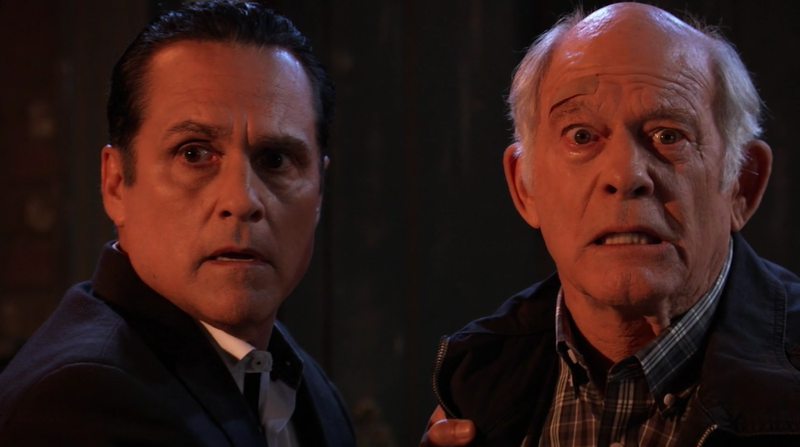 Mike freaks out at Sonny that he wanted to fix it. 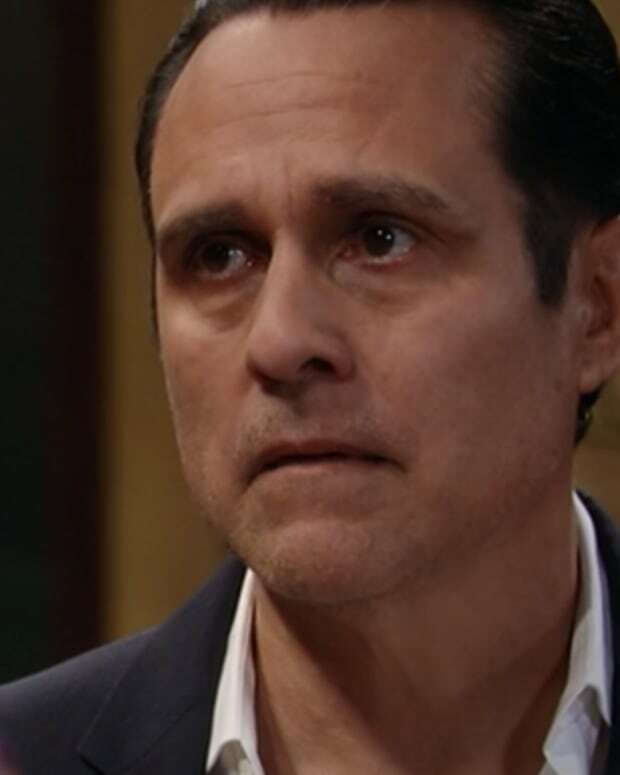 Sonny realizes Kristina is not there and she must have gone back into the pub. Jason runs into the pub and gets Kristina, who wants him to grab the wrench. Mike tells Sonny it&apos;s all his fault as the pub explodes.